Guerrilla Games has been quietly hiring some of the top talent behind Tom Clancy’s Rainbow Six: Siege for a super-secret project. Simon Larouche – who previously spent three years at the Dutch developer working on Killzone 2 – served as the game director on Ubisoft’s smash tactical shooter, and has been working on an unannounced project for the Horizon: Zero Dawn maker since February of this year. He’s been joined in Amsterdam by fellow Siege developer Chris Lee, who’s been recruited as a Principal Game Designer at Guerrilla Games. There’s lots of speculation about what this could mean: will Aloy’s next adventure have online? 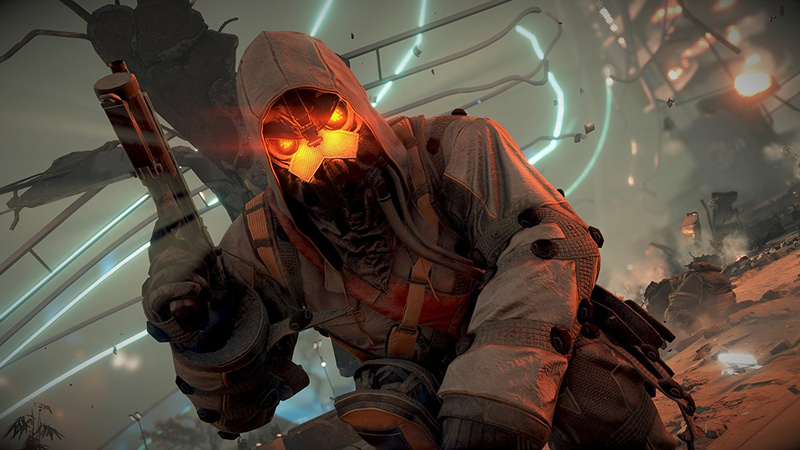 Could a new team be working on reviving Killzone? Has the studio got something fresh in the pipeline? Worldwide Studios president Shuhei Yoshida did talk recently about Sony wanting to do a better job with its multiplayer titles, so perhaps Guerrilla Games has been tasked with creating an online experience – potentially for the PlayStation 5? We won’t know until everything’s out in the open, but it’s an interesting development to say the least. I’m not sure i’d want to see what a H:ZD multiplayer would look like. Unless they rip off Monster Hunter, in which case i’d be intrigued. most likely a online shooter along side Horizon 2. they did say they were planning to expand to 400. As long as its not online that takes away from Horizon SP campaign then I'm cool. It's probably a Killzone reboot or new ip. I hope it’s a KZ reboot that takes it back to the multiplayer in KZ2. Still the top multiplayer game in my opinion. The class variety and team based play mixed with a match with rotating game modes was amazing. PS4 KZ played like COD and not in a good way. Hope they keep it unique. Game director recruited in February, eh? Well...probably won't be until E3 2020 that we hear about this game (unless they're tryna get some of that filthy Battle Royale money). Dammit!!! I hope it is a new Killzone, or something that feels like it. I love the weapons in those games. Open world Killzone?? With Helghast martial law?! Yes please. @Octane I refer you to my previous reply. i can easily see how horizon : zero dawn could accommodate multiplayer - not necessarily competitive, but certainly cooperative in the same way as destiny, anthem, or monster hunter does. the hunter's lodge could be expanded into a social hub - i think it would require some unique robots/rewards to make it worthwhile though. i'd like a reboot of killzone though, but it really should happen on PS4 imo, especially now with the massive install base. it helped KZ2/3 that PS3 was already on the market a few years when they came out. shadowfall came out when the install base was low, and on the same day as CoD and battlefield.. and it wasn't really that good. it dropped a lot of what made KZ2/3 multiplayers so great. Tactical shooter from Guerrilla sounds great! But I couldn't care less for MMO shooters, hope Sony wouldn't go that route. @leucocyte using the the Hunter Lodge as a social hub is a really great idea. I think it could and should be done. But I also think these rumors refer more an actual FPS game. Guerrilla Games is definiely big enough to create 2 games.